I am writing this on St. Patrick’s Day. Erin Go Bragh! And I’m casting a glance fairly frequently out the window these days, looking for green. Spring is coming – the vernal equinox actually occurs on the 20th this year (Tuesday) – just after noon (12:45pm EDT). Often confused with “the first day of Spring”, the equinox is actually an event, marked by the Sun crossing the equator and moving into the Northern Hemisphere. Warming temperatures and greening of the landscape can’t be far behind. Venus and Mercury continue to shine low in the evenings after sunset. They’re not up for long, but they are the brightest objects out there, and surprisingly easy to pick out. Of the two, Mercury is dimmer, but higher – if you can spot Venus after the sun is gone but while there’s still a tinge of orange in the sky (and you should be able to), look up and right about a fist-width. Mercury is likely the only thing there shining, and so the risk of mistaking it and a nearby star is pretty low. Uranus is actually pretty near these two as well (all three are in Pisces), but it’s really dim. Look for them on the evening of the 18th (Sunday), and you may see an extremely thin crescent Moon joining the two. Venus is almost opposite the Sun from us these days, as far away from Earth as it gets, but running out from behind the star and “catching” us. Mercury, meanwhile, actually reached its farthest angular distance (its Eastern Elongation) from the Sun, from Earth’s perspective, back on March 15th. 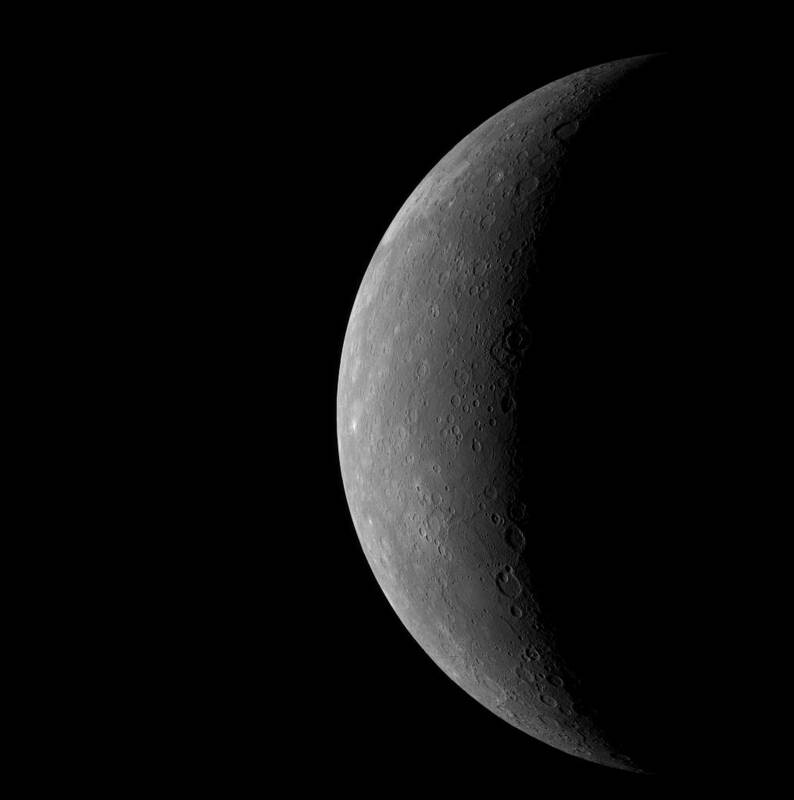 It is now “diving” down between us and the Sun – which means that sharp-eyed observers with moderate telescopes should be able to watch Mercury shift through half-illuminated (a “quarter-Mercury”) into a tiny crescent over the next few weeks. Venus and Mercury, being the only planets that pass between us and the Sun, are the only ones that Earth-bound viewers can watch go through phases like this. On the other side of the sky, Mars and Saturn are similarly paired. They rise about 3am, together just above the teapot of Sagittarius. They are about the same brightness, but Mars is the one to the west (right, viewed from the Northern Hemisphere), and has a distinctly reddish tinge. Mars is moving toward Saturn, and they will make their closest approach, about a lunar-disk distance apart, in early April. By the time you can see these two, Jupiter is already high and bright. Rising about midnight, Jupiter is the brightest object in its vicinity, in Libra – just to the west and above the claws of Scorpius. It hangs high in the early dawn as a nice target for small telescopes. Enjoy these clear cold winter nights while they last!